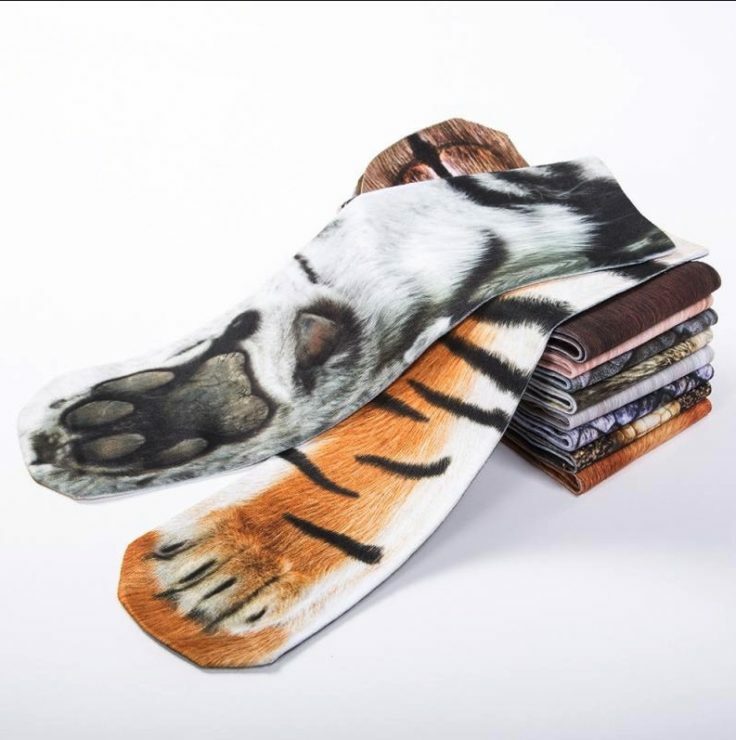 As an editorial sock enthusiast, I was given the task of presenting these animal socks to you in a wide variety of designs. After all, you can be on the move with them on both paws or just hide your crow’s feet… depending on the model. Similar to the popular sweaters with broccoli look, the Chinese have also found a basis here on which they can print various motifs. For little cost you can express your love for animals and nestle your two boring feet in the robe of a cat or dog. If you like it a bit more exotic, you can of course also reach for the elephant or the giraffe, which most of us in the wild certainly haven’t seen yet. But all paleontologists would surely reach for the dinosaur. Feel yourself as if you were a brontosaurus? Check. Only 29,920 tons of weight are missing and the long, long tai… – let’s leave it at that. The salesman on AliExpress promises “high quality” and uses cotton as the material. This is surprising in that the Chinese often use cheap polyester for such printed products. The elastane, which is also used, makes the sock stretchable, which means that only two sizes are distinguished. The socks for children are a bit cheaper, but most of you should reach for the adult size. The size expectations between China and Europe are a little bit different. Therefore there is also the hint that the sizes can vary a little. A pair of socks for under $2? That is an acceptable price. But here you probably pay more for the gag and the unusual motif. So we already know this from other socks like the Yoda socks. 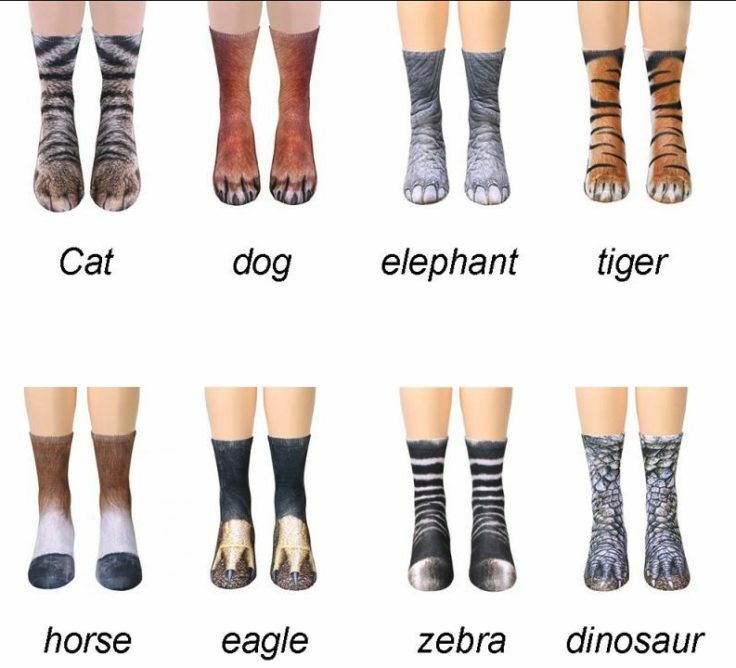 All that remains is to ask the question: Which animal would you choose?